Never leave the house again. Amazon is giving Prime Pantry a facelift, and if you’re already a Prime member you’ll want to pay close attention to the changes. 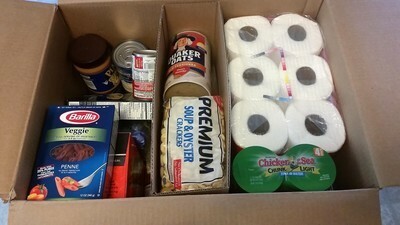 Starting June 1, Prime Pantry is changing to a subscription service. Just an extra $4.99 a month on your Prime membership will give you unlimited free shipping on any orders over $40 from the Prime Pantry service. Before this, Prime Pantry required a per-order flat fee of $5.99 even for Prime members. And everyone knows we’re all Prime members because we don’t want to pay shipping. The downside for people who don’t want to subscribe is Prime Pantry’s flat-fee is increasing to $7.99. That applies to any orders that don’t reach the $40 minimum or any customers, Prime members included, who aren’t subscribed specifically to Prime Pantry. Never tried Prime Pantry before? Curious about it now? Amazon offers a 30-day free trial, and if you use the code PANTRY5 when checking out, you’ll save $5 on your first order. With the free trial, you will get all the benefits of the subscription service for 30 days without paying. After that, you’ll start getting charged the $4.99 a month fee unless you cancel. Prime Pantry is Amazon’s way for you to order everyday grocery products, like laundry detergent, toilet paper, or snacks, without ordering in bulk or driving to the store. A lot of the items available in Pantry aren’t available on the regular Amazon store because it includes individual products. Of course, Pantry still has Amazon’s aggressive pricing and price-matching, too, so you’ll save money that way as well. Admittedly, it takes some guts for Amazon to ask for more of your money after increasing Prime by $20 a year, but regular grocery shoppers will save in the long run and avoid unnecessary trips to the grocery store. Keep in mind that just because you’ll get free delivery doesn’t mean it’s the same as Prime Shipping. Prime Pantry works differently than regular Amazon orders, so it could take as much as four days to get to you. Be sure to plan ahead when ordering toilet paper. You can’t be just a member of Prime Pantry, either. You’ll need a Prime account first. If you don’t already have one, you can sign up here. There are a ton of great reasons to be a Prime member besides Pantry, but if groceries are your focus remember Amazon’s recent purchase of Whole Foods Market has led to some great potential savings there as well. Don’t forget to use code PANTRY5 to save $5 on your first order and avoid that flat fee by getting it over $40!